Early style Parker 45 Flighter fountain pen with chrome trim. Fountain pen is fitted with a medium nib. Converter included. Near mint pre-owned condition. 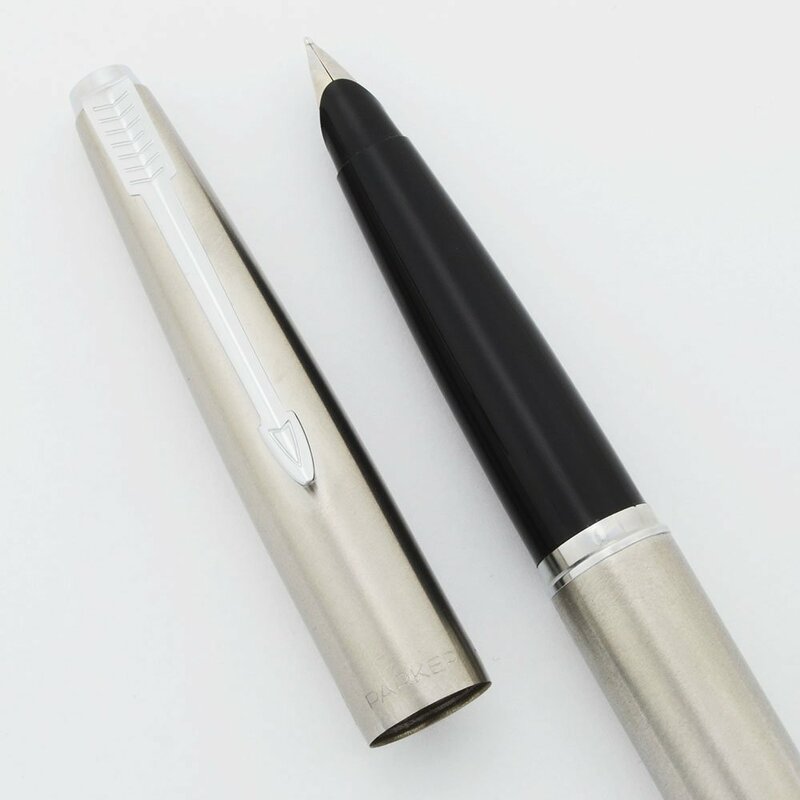 Filling System Fountain pen takes Parker cartridges, or you can fill it with bottled ink via the included Parker converter. Color Brushed steel body and cap, chrome plated trim. Nib Medium nib (marked M). In excellent condition and very smooth. Condition Near mint condition. The pen looks nice and shiny. The cap has no visible scratches and the clip is beautiful. The barrel has only a few light scratch marks. The section has long thin scratches toward the bottom, probably caused by capping. The clutch ring has a small amount of plating wear, also probably caused by capping. No cracks, dents, dings, major scratches, or personalization. This is a beauty!